The FHA HECM for Purchase or Reverse Mortgage for Purchase is an opportunity for you to create a niche within the Real Estate industry. Many Realtors are starting to specialize in many areas such as obtaining the Senior Real Estate Specialist (SRES) designation. With 10,000 individuals turning 62 a day and with 80% of them homeowners many will decide to move into a more appropriate retirement home. This may generate two transactions for you – the listing and the sale. This section on the Reverse Mortgage for Purchase is for you and is being provided to make you aware that it exists and to give you a better understanding of what is involved with the Reverse Mortgage for Purchase program. Please review the preceding sections here and give me a call at 1-888-323-3555 to discuss in detail how it can help you with more sales and most importantly be the right financing choice for many of your buyers. I service the entire state of California and am ready to help you and your clients. • Highly recommend that we discuss the purchase contract offer before submitting to the listing agent. • It should be marked on the contract as an FHA loan and specifically the Home Equity Conversion Mortgage (HECM) or Reverse Mortgage. •The FHA Amendatory Clause form (FVAC) has to be included at time of offer. Also, make sure the Buyer Inspection Advisory (BIA) and the Statewide Buyer and Seller Advisory (SBSA) are part of the contract. • There can be no concessions, incentives, or seller paid closing costs. • There can be no seller rent back or personal property of value given. • Much like the standard FHA purchase transactions, the FHA HECM for Purchase has requirements on what the seller or buyer can or can not pay. With this program, the buyer pays most fees including what is customary or normal in California. This being the case the offer may need to be written to adjust for these costs on the buyer’s behalf. • All required repairs must be completed before closing and paid for by the seller. • Concurrent closings can be arranged to help expedite the transaction specifically when the buyer will be using funds from the sale of their current property to purchase their new home. 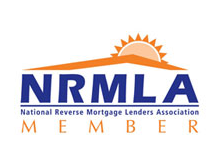 • A Reverse Mortgage for Purchase can be used in a foreclosure, short sale, or REO purchase. Please understand a couple of challenges regarding repairs by seller must be done before closing and that the loan requires the buyer to pay most costs which may be difficult such as with a FNMA REO if they require costs to be paid in a different manner. • New construction purchases are allowed as well however we can not take an application to start the loan process until a Certificate of Occupancy (CO) has been issued. From that date anticipate within 30 days for the closing of the new home purchase. • Letters of Prequalification for your buyers can be provided to present in your offer. The Reverse Mortgage for Purchase is primarily an equity based program but does have some minimum financial assessment requirements that must be met. For buyers with possible income/credit issues we will review upfront prior to purchase offer. I am sure there may be some other questions or areas of the loan process to be covered. Again, feel free to call me anytime to discuss your scenarios at 1-888-323-3555 or directly on my cell phone at 760-458-2755. Appreciate your consideration of my services. I look forward to hearing from you and being of assistance with your first or next Reverse Mortgage for Purchase transaction.